This small footprint of this black travel size glass top humidor is perfect for those who wish to store under 20 cigars. 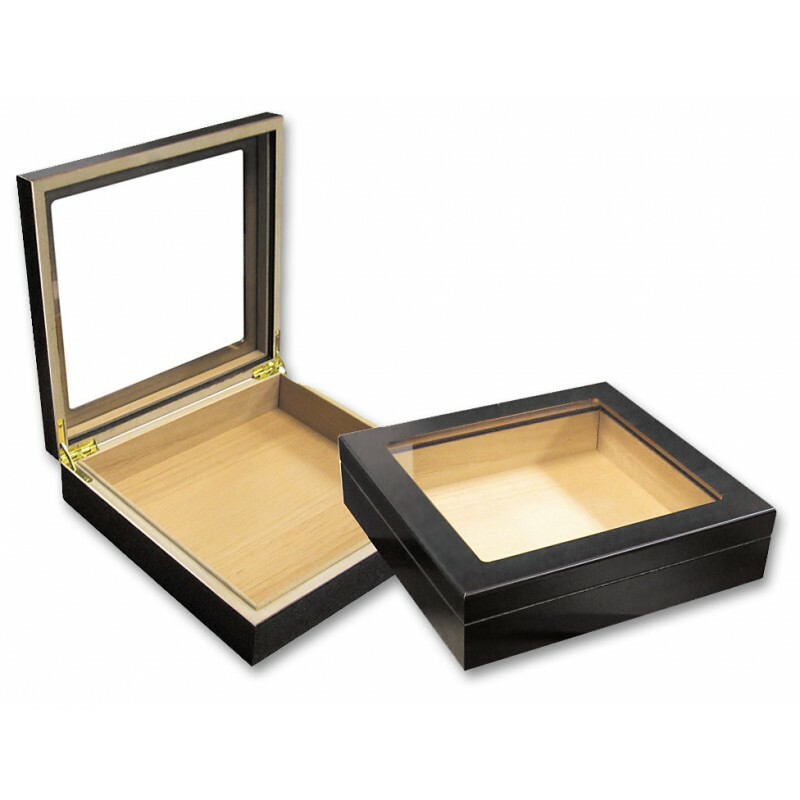 Lined with Spanish cedar, this humidor is perfect for maintaining your favorite cigars at an unbelievable price. 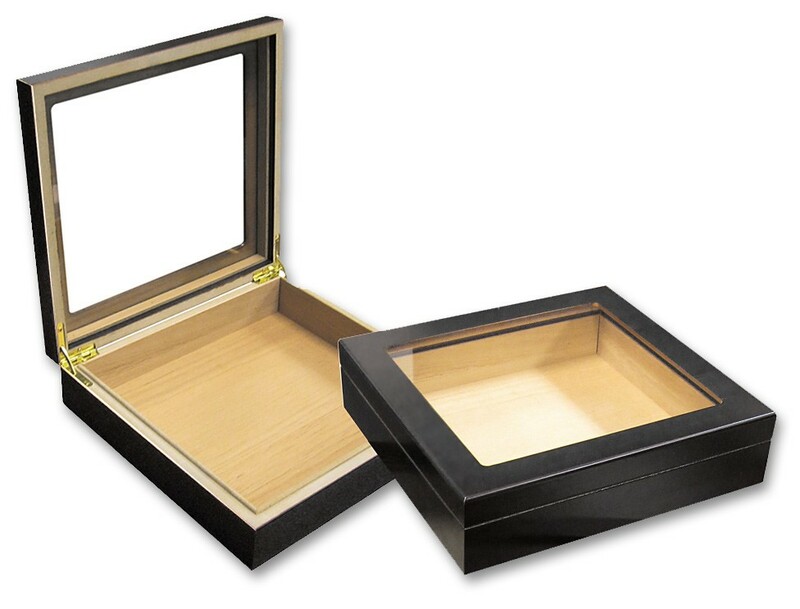 The compact dimensions of this cigar humidor give you the ability to store your cigars just about anywhere. 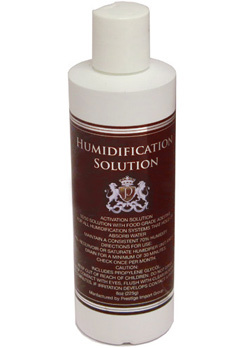 The interior has a refillable humidifier that can be removed and charged with distilled water. 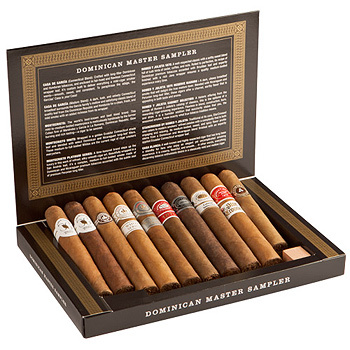 Keep your stogies in just the right environment and pick up one of these today! I recently bought this as my first humidor, and I don't think I'll ever want another one! The seal is perfect and so is the all-around construction of the box. 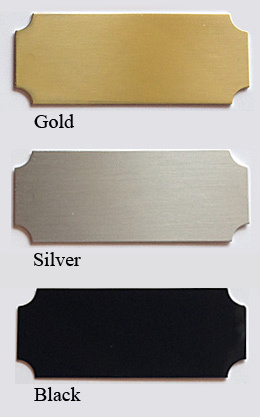 Take advantage of the engraved name plate too, it is packaged separately and easy to apply anywhere on the humidor. 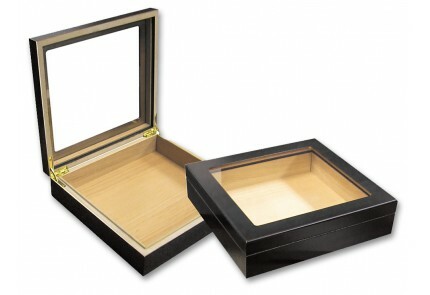 20 Count Black Leather Travel Humidor with Gold Buckles & Rich Red Stitching Accents.